Zebpay just celebrated its 3 million users. Other cryptocurrency exchanges like Unocoin, Koinex, and Coinsecure are growing with just as much pace. While more and more Indians are now taking steps to buy Bitcoin, the Indian government and regulatory bodies still seem to be pretty clueless on how to deal with the crypto-mania in the country. Also Read: Is Bitcoin Ban in India? Amid this confusion and media sensationalism regarding Bitcoin, reports started emerging a few months back that the Indian Government and RBI might be planning to launch a desi version of Cryptocurrency, named Lakshmi. “Lakshmi” is a rumored cryptocurrency that Indian government can launch to counter the popularity and volatility of other unregulated digital currencies like Bitcoin, Ethereum, and Ripple. “Lakshmi” will be based on the Blockchain technology—the same underlying technology of other Cryptocurrencies. This is quite fitting because in his Union Budget 2018 speech, Finance Minister Arun Jaitley did say that the government is much open to exploring the possibility, potential and application of Blockchain technology in the country’s financial sector. Also, the Executive Chairman of Reserve Bank of India, Sudarshan Sen, has made it pretty clear that central bank isn’t very comfortable with the decentralized non-fiat cryptocurrency. So it is quite possible that it can launch its own version of digital currency on its own Blockchain. Lakshmi could become an alternate version of Indian rupee to make digital transactions. However, turning the dream for “Lakshmi” into reality can take a while. It’s a long process that would require amendments to the Currency Act. Besides, even if its desi-version of cryptocurrency does comes into existence, would it be as successful as its globalized counterparts like Bitcoin? It’s very unlikely. Because one of the topmost reasons why digital currencies have become so popular is due to their decentralized nature. With now the governments and central banks offering their own cryptocurrency, the term “decentralization” would lose its meaning. The authorities would easily be able to regulate and manipulate the market with their own cryptocurrency. However, given the concept of ‘Lakshmi’ is one-of-a-kind by a state’s government, it would be an interesting spectacle for the crypto-community. 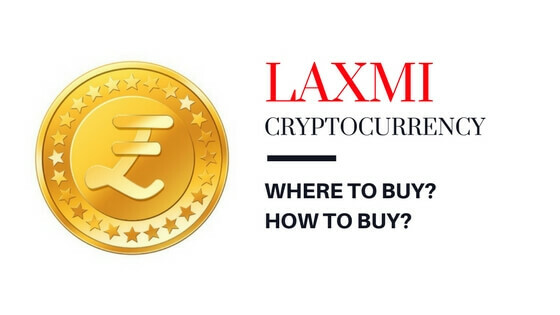 Don’t confuse “Lakshmi” with “Laxmicoin or Laxmi coin”. While the Lakshmi is a rumored cryptocurrency to be offered by the government whose talk came only last year, the later one is an independent company that has been in existence since 2012. Laxmicoin® is a Blockchain platform (or call it an exchange) that is on a mission “to make the most powerful infrastructure for decentralized applications”. It aims to facilitate Blockchain usage in different fields like the land registry, voting platform, and healthcare. 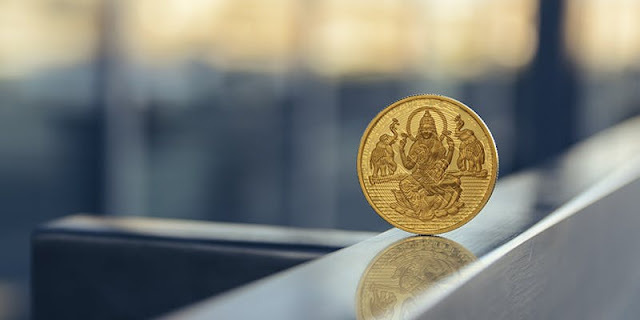 When Laxmi Coin Will Be Launched? While the launch of Laxmicoin cryptocurrency was slated for 2014, the date was postponed by the founders after RBI raided the company’s office. Ever since then, the founders had been adamant that until they get the green lights from the RBI itself, they won’t be launching the coins. However, now the company seems to be inching closer to the official launch of Laxmicoin in the second quarter of 2018. According to their plans, in the third quarter of the year, they would make mobile mining and P2P transactions available for this cryptocurrency. 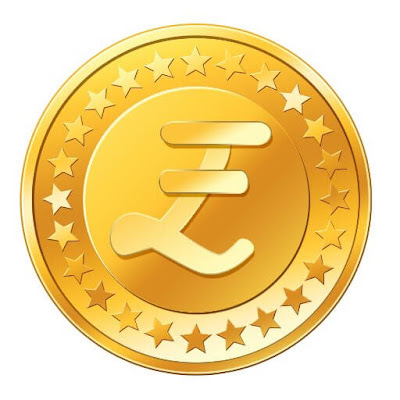 Laxmi coin uses the same Blockchain technology as any other digital currency. A total supply of 30 million coins is expected to be mined. Currently, the company isn’t selling Laxmicoins. The official launch can happen anywhere in the second quarter of 2018. Which exchanges will offer the desi-version digital currency is still not known. 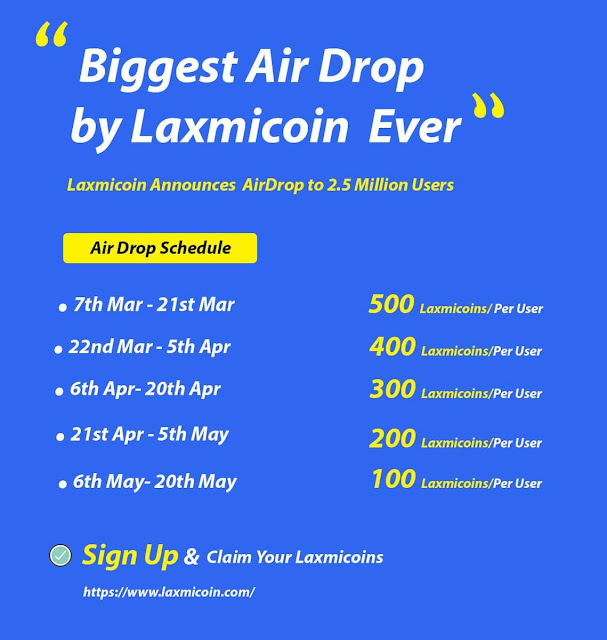 However, as a part of its expansion plan, the company is offering free Laxmicoins through scheduled airdrops on its website. Airdrop means when a Blockchain project distributes free tokens or coins to the crypto community. Laxmicoin® is an independent company. Its Laxmicoin cryptocurrency is a totally private venture. Neither the company nor its tokens have to do anything with the Indian government and RBI’s rumored “Lakshmi” cryptocurrency. The original URL of Laxmicoin is www.Laxmicoin.com. ThePrint has reported that Delhi Police has recently received 8 complaints in the past month against Laxmicoin, as well as other home-grown Cryptocurrencies like Bullcoin, Lite Coin Classic, and Kashh Coin. The report says investors have lost crores in this fraud. So if you’re planning to invest in India-made Cryptocurrencies or ICOs (Initial Coin Offerings), be extremely cautious. We advise people against investing their money in new or little-known digital assets. Even if you see a celebrity endorsing a new cryptocurrency or token, Indian or not, never get lured by that. If you receive any such email from anyone, telling you about the new ICO, simply ignore it. As for real Laxmicoin cryptocurrency – that’s founded by 2 little-known founders, one of who is based in the Silicon Valley of California – don’t trust it either. However, be very (very) careful from the moment they start trying to sell you their tokens. Again, we advise not to rush and buy. Stay out of the game for a bit, see how things pan out and only then decide if the company can be trusted or not. Remember, in India, the crypto-world is thriving. Seeing this, many frauds have emerged on the scene who are continuously trying to cheat your money through attractive phrases, hollow promises, and smart marketing techniques. Keep your eyes open and mind clear to stay safe from these scammers.